The Trench-to-Trench siege-war: The allies making an offensive movement. 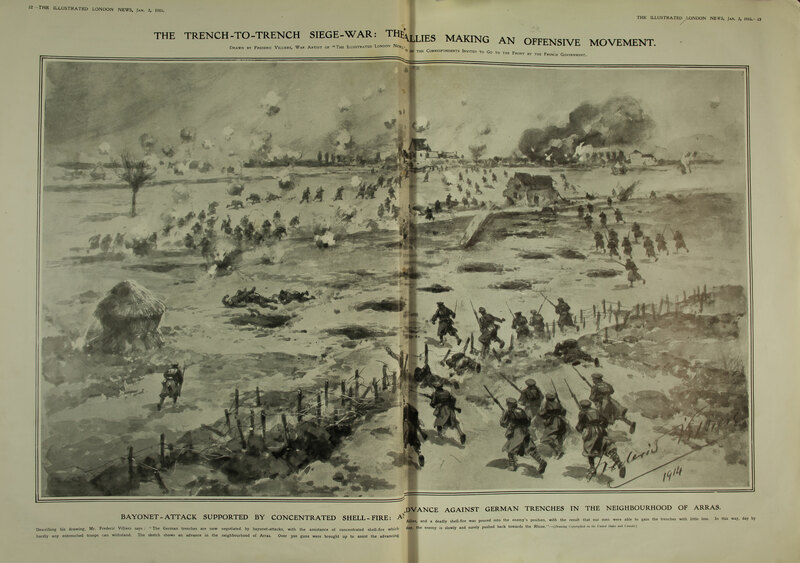 Drawn by Frederic Villiers, War Artist of ‘The Illustrated London News.’ One of the correspondents invited to go to the front by the French Government. Bayonet-attack supported by concentrated shell-fire: any advance against German trenches in the neighbourhood of arras.